Dog heartworm symptoms can be subtle, but early treatment is vital to saving your dog's life. Take a look at common symptoms in both early and advanced heartworm disease, and learn how you can spot a potential problem with your dog's health. Heartworm is a parasitic infestation most often located in the right chamber of a dog's heart. 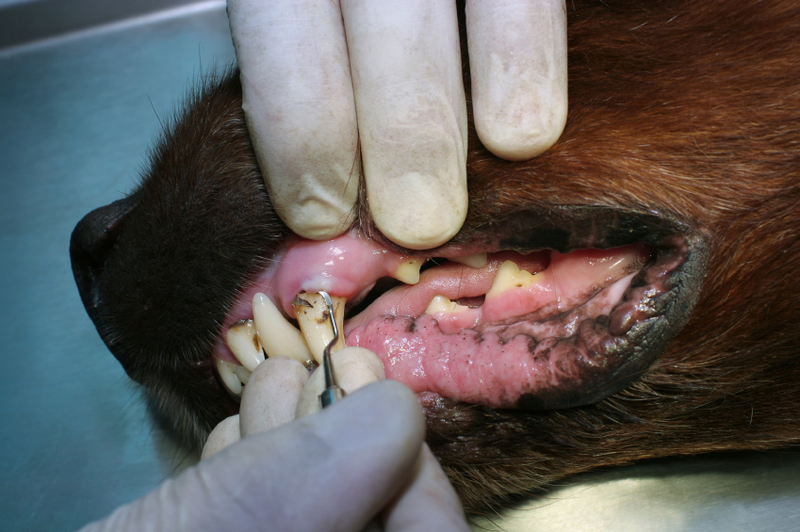 The dog is infected through the bite of a mosquito carrier. A heartworm can be as big as 12 inches long, and a dog with an advanced infestation can harbor hundreds of worms. In the early stages of the disease, the dog's symptoms can be very subtle and difficult to spot. A mild cough is one of the most common symptoms noticed early on. Most owners do not realize the cough is a major problem and just chalk it up to allergies or other minor ailments. However, it can be a sign of heart blockage as is often witnessed with a case of heartworms. As the blood flow becomes more restricted, the dog may grow fatigued quicker than normal. For example, a young dog that once loved to play fetch but now tires after a toss or two may show cause for serious concern. Since the heartworms thrive in the artery leading out of the right chamber of the heart (and into the lungs), many dogs display shortness of breath with this disease. This can even become evident without prior exercise. This ties in with the fatigue a dog may experience with heartworm. Since the heart is blocked from pumping blood properly, a dog with heartworm may chase his toy a few times, but then collapse onto the floor in exhaustion. A reduced appetite is sometimes another indicator of a heartworm infestation. This isn't always the case, but veterinary testing can quickly reveal whether or not the worms are present. Although most dogs lose weight while they have heartworm, some dogs also have a bloated look to their stomachs due to poor circulation and accumulated fluids. Check your dog's back and sides for a clearer indicator of actual weight. You may also want to weigh your dog regularly so you can easily spot any fluctuations in weight patterns. Heartworm is one canine health issue that is easily prevented. There are oral, topical and injectable medications that ward off infestations, and each each one is given on a particular schedule. You can use a preventative during peak mosquito season in areas that have cold winters, or you can keep your dog on heartworm preventative all year long in warmer climates. Check with your veterinarian to decide which prevention plan is best for your pet.